Are you mystified by the fantastical world of sushi, and want to know what makes it tick? Well, me neither, but I sure love educational infographics! 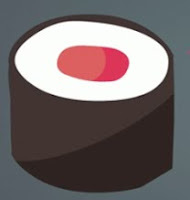 Sushi Infographic from Tyler Andrew Myers on Vimeo. Thanks to Andrew Meyers, and Y. Chang for shedding light on this centuries-old delicacy!